Classpath appended to the system class loader. Used for automated testing infrastructure. May be used to prepend items to the same class loader as is used for openide.jar and core.jar, similarly to JARs found in lib/patches/. By default true, may be turned off to disable manifest caching. Patch directories or JARs to add to the class loader for a module, besides patches/MODULE-CODE-NAME-BASE/*.jar. If true, all module classes are forcibly loaded at startup, to help detect possible linkage errors. Disables automatic module dependency upgrades. If set to 0, enables logging for the module system. Disabled automatic transitive class loader dependencies for old modules. Avoids text messaging (other than ErrorManager logging) to the console from the module system. Suppresses checks to ensure that module section classes are actually loaded from the module itself. Avoids using GUI when user-visible error conditions occur. Name of class from core.jar which will handle most of the startup sequence; by default, org.netbeans.core.Main. Suppress security checks in the VM, even from "untrusted" code. Prints messages when resources or classes are loaded from JARs. Used to control the XML layer cache mechanism. Value may be a fully-qualified class name to load as a manager (implement org.netbeans.core.projects.cache.LayerCacheManager), or - to disable caching and always parse the XML layers directly. Current default is to use a binary cache manager. How a classpath of my module is constructed? The NetBeans is defacto a container that manages individual module's lifecycle and other runtime aspects. One of the important things is that it creates a runtime classpath for provided modules based on dependencies they specify in their manifests. 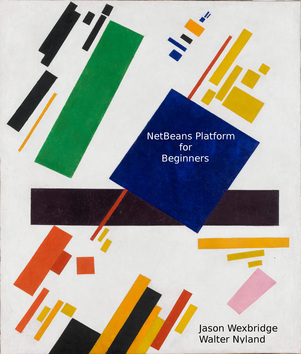 The overview of the runtime infrastructure is a good starting place for everyone who wishes to learn more about the NetBeans runtime container behaviour. To maintain binary compatibility, method implementations may be injected at runtime, in a form of a superclass in the class' inheritance hierarchy. Modules compiled against older version of APIs which contains MethodReferences to methods removed from the oficial APIs will be then linked according to JVM Resolution algorithm to a matching method present in the superclass of the referenced type. Annotations are used to instruct the ClassLoader to make transformations to the API classes. PatchFor causes the annotated class to be injected as a superclass of the API class identified by the annotation's value. ConstructorDelegate marks a method, which is called as constructor implementation in the case that it is necessary to preserve a constructor for binary compatibility. Answer: None, other than any available SAX parser. Answer: The API portion is inside openide.jar; the implementation refers to this and is inside core.jar. Answer: Yes (as part of openide.nbm and core.nbm). Answer: Must be installed in the shared location as it is part of the very core of NetBeans. Answer: It defines and implements the Modules API. No intentional deviations. Answer: Backward compatibility of setting storage for the list of configured modules is considered a design priority. The implementation of the Modules API uses an XML format to store this list; it has an associated versioned DTD, and the 1.0 format additionally supports expansion through arbitrary named parameters. Also, the modules themselves can be considered settings in that a user directory may contain them, so backward compatibility of the directory layout is maintained. Yes, module JARs and associated resource JARs must be real files. They are loaded as defined by module enablement XML files. Module enablement XML files are loaded via Filesystems. The public API (partially) specifies them only in these terms. autoupdate uses Filesystems to manipulate them when necessary, though it relies on some additional implementation-specific knowledge of their format (which is fairly stable, especially since changes are limited by compatibility constraints on old user directories). The NetBeans build scripts use some additional implementation knowledge to pregenerate suitable XML files for modules included in the application distribution. Answer: XML files are read from the two folders defined by the API. Note however that since these folders control the module system itself, contents generally should not be placed in module layers, but in the system/ subfolder of the installation or user directory (generally, in the NBM). Answer: All registered InstalledFileLocator instances are queried and used to implement InstalledFileLocator.getDefault(). Answer: The implementation creates one class loader for each enabled module, plus a special "system" class loader. Answer: Of course components present in modules are initially loaded using reflection. Otherwise there is little semantic use of it (transparent optimizations only). One exception: pending a solution to #29382, one portion of the Filesystems API is accessed via reflection when merging XML layers from modules. Answer: Yes, of course - it finds and loads all modules. Answer: Delegates to exit handlers of enabled modules. Saves lookup cache. Answer: Scalability of the standalone system seems reasonably good; even with a thousand modules (an order of magnitude higher than current reality) startup time and memory consumption in the module system itself are not large (7 seconds, 6 Mb). Answer: Not a lot. On modules which are well-formed (layers, JAR entries, complex interdependencies) but which do not run any code there is a modest incremental cost: 3.1msec and 4.5Kb per module at least measurement. Answer: Bulk module installation can be time-consuming. org.netbeans.core.ui.ModuleBean is a Swing-safe bean that serves as a nonblocking wrapper for all module system modifications and is used e.g. in the Modules node. Answer: No. Occasionally small dialogs only.